San Francisco (Obama.net)- When it comes to the American media, few would argue that one of the most biased and misleading news networks is FOX News. The highly conservative network rarely ever positively shows any democratic leaders or legislature and is often making outlandish claims about the Democratic Party and their objectives. The most unfortunate aspect of this issue is that millions of Americans tune into the biased network on a daily basis and consume its reports as complete fact. However, President Barack Obama is not simply going to ignore the extremely negative role that the television network is playing in American politics. 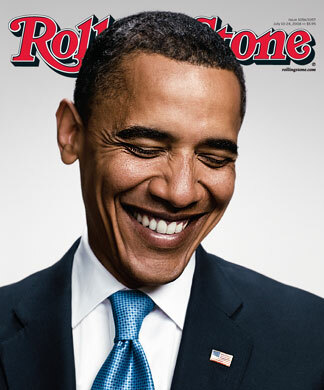 The President is featured on the new cover of Rolling Stone magazine and is also interviewed in the periodical. Obama made it clear that he respects FOX News’ rights to say whatever they want under the first amendment of the constitution, but he still disagrees with how they go about their business. President Obama said, “as president, I swore to uphold the Constitution, and part of that Constitution is a free press,” and that even though FOX News has that right, the material they present is “ultimately destructive for the long term growth” of the United States. Obama said that he is against FOX News’ opinion partly because of how the views are not beneficial to the American middle class. However, the President is did make one thing clear; FOX News has succeeded in its main goal, which is to be a profitable enterprise. With the Midterm Elections coming up on November 2nd, which is only five weeks away, President Obama is very unsettled knowing that a television network with nothing on its mind other than how to make another dollar is influencing millions of Americans and potentially swaying the vote against his favor due to false information. As Obama said, the network has every legal right to do what they are and have been doing, but at the same time they are doing a major disservice to the American people by giving them such one-sided, misleading “facts” that alter the way that Americans think about politics. Fox news is the only one that is critical of Pres. Obama and he has the thinnest skin of any pres. in the history of US. So he has 90% percent of the media in his corner and cannot handle any critical views. Neither Rolling Stone nor Obama present one shred of evidence for their sweeping generalizations slamming Fox News, because they have none. And by the way, the people who watch Fox News do so because the fair and balanced content is such a welcomed antidote to the long endured left wing bias of CNN and MSNBC and… the rest of the liberal media.